Many iPhone user reflected that the ringtones missing after installing Apple’s latest iOS 8.1.1 update. It seemed like a common issue. Thankfully, there are a few workarounds for this. Try the fix below to bring the lost ringtones and text tones back. The easiest solution is to sync ringtones and text tones back from iTunes. 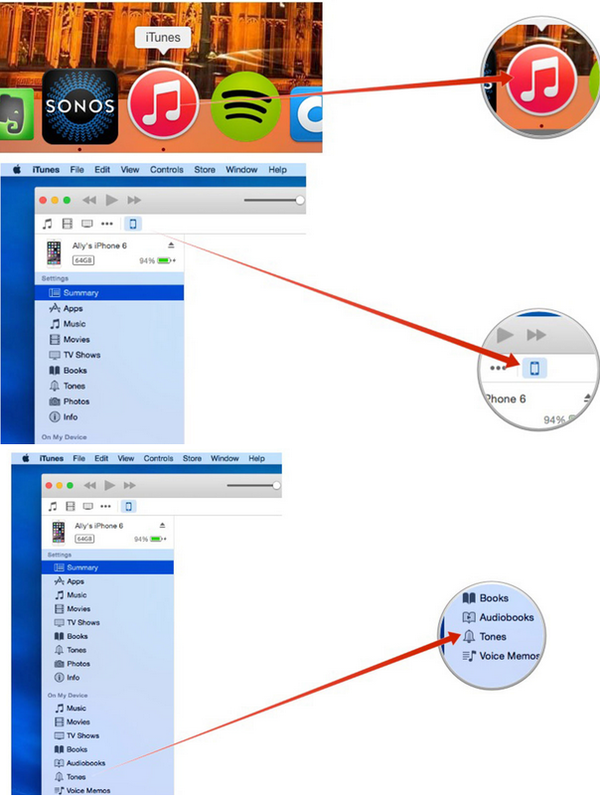 Of course, that only works if you’ve synced them to iTunes in the first place. However, if you normally plug your iPhone or iPad into iTunes in order to sync movies or other content, or you use iTunes to back up, your tones should be there. Plug in your iPhone or iPad. Click on your iPhone in the top navigation. Under the On My Device section, click on Tones. You’ll get a prompt asking you to agree to removing and replacing your tones. Make sure that your tones are all in the list of tones before clicking Sync orApply. Let iTunes sync and then check to see if your tones are back. If your tones are there again, you’re good to go. If not, continue on. This particular issue doesn’t seem to be caused by the tones actually beingremoved from your iPhone or iPad, but more of a glitch where they don’t show up. Some users have reported that performing an iCloud restore seemed to bring their tones back. You’ll need to back up one last time, wipe your device, and then restore from an iCloud backup. Unfortunately ringtones and text tones aren’t like tv shows, books, music, and movies. You can’t simply download them again from your purchased section. A few people have that after simply trying to purchase them again, the ringtones and text tones only disappeared a few hours later again. So whatever the issue is, it’s not with the actual purchase itself. While iCloud backups should technically keep your ring and text tones safe from harm, bugs and glitches happen. 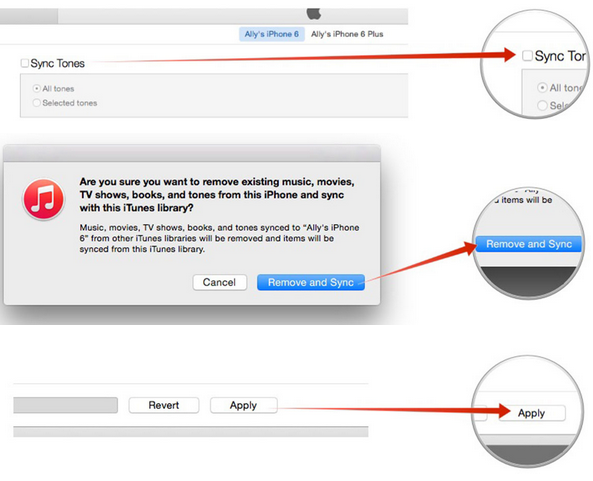 The safest possible way to keep your ringtones safe is to simply transfer them to iTunes. This way if anything ever happens to your device, or you have to restore, you always know that your purchased tones are safe. It’s as simple as plugging your iPhone or iPad into your computer, launching iTunes, and clicking on the Back Up Now， iTunes will import the tones. This entry was posted in iOS 8, Tips and Tricks and tagged iphone ringtones lost, iphone ringtones missing ios 8.1, Ringtones disappear after iOS 8.1.1 Update by IosdroneD. Bookmark the permalink.